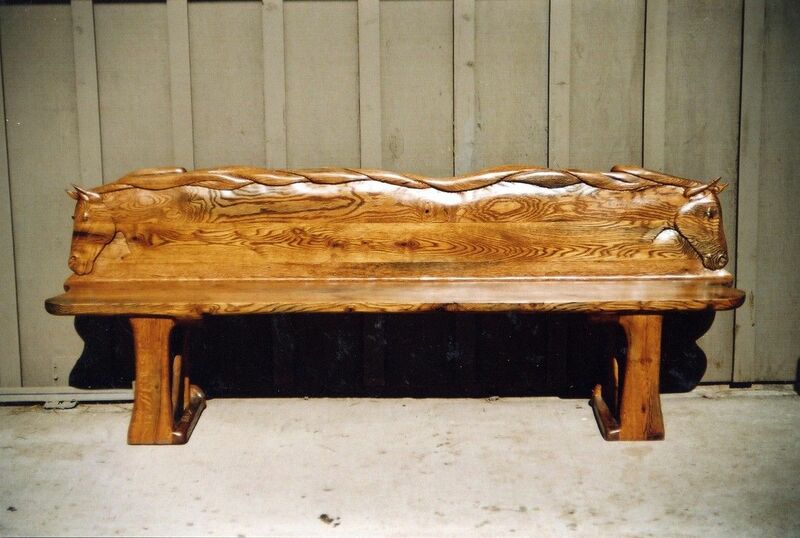 Red Oak wood bench with hand-carved horse heads on each end. Perfect for equestrian barn elegance. Length is 8', Height is 26", and 28" deep. Benches can be made to your specifications including whichever theme you like.